Yeah lol I know. Is that cliche? I know Amanda won't mind, because I'm sure she knows that this is what Thursdays are for! This past April, I posted about getting into the Bank of America Chicago Marathon lottery, and how that changed the rest of my year in regards to having an 'A' race. All of my training and races leading up to it were half strategic, and half happy accidents. I had to take a couple of days off here and there to ensure recovery and maintaining health. I also posted about my two previous experiences running the Chicago Marathon, and how I was going to do things differently this time. Some were out of my control, some I totally rocked. 1. "I feel like I have more accountability." Yes! I did spin, I did Yoga, and I swam! Maybe not as consistently as it should've been done, but it did get done, and I did reap the bennies of all of it. 3. "I'm training IN Chicago, not San Antonio." Mmmmhmmmm. I trained and raced these Chicago streets, without the heat, humidity, or hills of Texas. We had a mild summer here, which made training seem much more...dare I say...fun? 4. "I clearly need to work on my hydration and nutrition techniques." I finally figured that part out. It could probably be tweaked a bit, but a "less is more" strategy worked more for me than other techniques. I didn't eat before running, and I paid attention to timing GUs and water during training. Keep in mind that this took a while; I had to get to know and listen to my body in terms of energy and electrolyte *malfunctions*. 5. 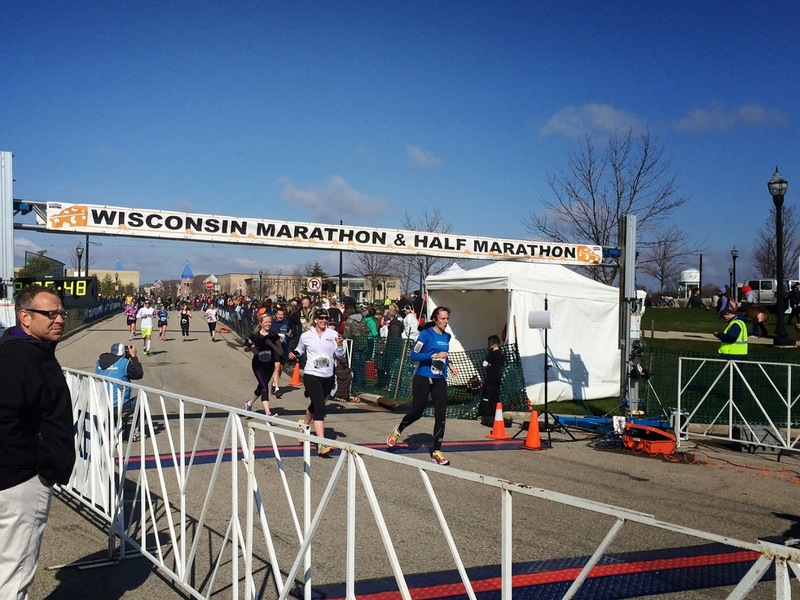 "I will participate in the CARA Ready to Run 20 Miler in September." And it was a BLAST! I didn't have to stop for red lights or traffic, I had a straight path that I did my very first non-stop 20-mile run on, and it gave me a huge boost in the confidence department! 6. "This will be Harry's fifth time to run the Chicago Marathon." As I stated before, he was a great source of support for me, especially when it came to strategic racing and training maneuvers. I firmly believe that he was an imperative part of me reaching my goal out on the race course. He is an outstanding motivator, a great distraction (I know that sounds ridiculous, but it's true; sometimes it's just better to have something to take your mind off of training so it doesn't get too intense), and his experience in this particular event and this city made my experience a thousand times better than it was the two previous times with em on my own. We had a shared goal (which might always be the case, being that we're both so active), and it helped having someone that close who was also going through this. Also, he's good at snuggling. 7. "My disordered eating is very much under control." 8. "Tune-up races will be done." Mostly 5Ks, and a couple of half marathons, where I learned more proper timing and where to place my effort. This played such a huge part in my confidence walking up to the START line at the Chicago Marathon. I seemed to have been rid of the race jitters, and a very large chunk of that was due to more racing experience. 9. "I'm going to smile the whole way. Come hell or high water, I'm going to have fun at this one." I had the best time of my life out there. There might have been some tough times, but I know that I smiled for at least 95% of the time. BIG AND BRIGHT and full of life! 10. I don't have a tenth thing, so here's a picture of Sophs devouring a slice of pizza the size of her head. I think your 10th should be that pizza and beer are great carb sources. Loved reading over your reflections! I definitely agree that this summer was boss for training. Even if not for tanning. Win some, lose some.